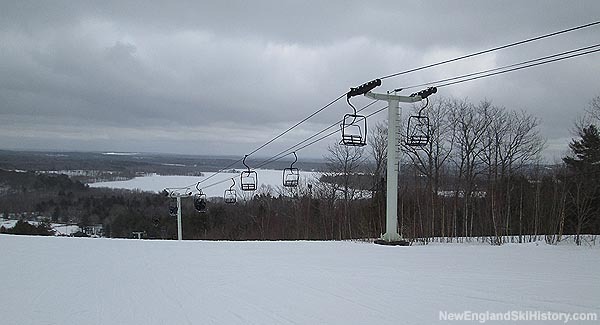 Located just west of Bangor, Maine, Hermon Mountain has been serving local (and in many cases due to its proximity to the airport, international) skiers for over half a century. New Hermon Mountain likely opened by the Jackson family at some point in 1964 (though some sources claim it may have opened in 1962-63), perhaps under the name of Hermon Slope (later becoming Hermon Mountain or Mt. Hermon, depending upon the publication). At this time, the ski area was served by one or more rope tows. Hermon Mountain moved forward for the 1966-67 season by installing a 2,000 foot long Poma T-Bar. A new lodge was constructed for the following season. 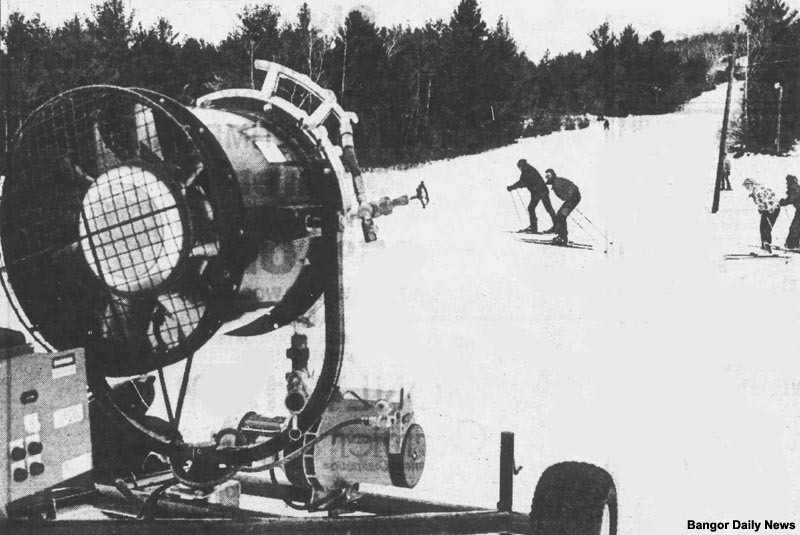 Snowmaking was possibly installed by the end of the decade. A new expert trail was added for the 1970-71 season. A second T-Bar was added in 1972, serving novice terrain. By the time 1974-75 started, Hermon was advertising having snowmaking and lights on nearly all of its terrain. Hard times soon hit Hermon. Less than two years after renovations, the Hermon Mountain base lodge burned to the ground on January 5, 1981. A group of local lawyers likely took control of the mountain circa 1984. $120,000 was invested in improving snowmaking for the 1984-85 season, following multiple years of poor snowfall. New Hermon Mountain, Inc., owned by Bill and Marlene Whitcomb, took over the ski area in 1988. Snowmaking firepower was reportedly tripled in 1990. After a decade of building up New Hermon Mountain, the Whitcombs installed a refurbished double chairlift for the 1998-99 season. Aging night skiing lights were replaced for the 2001-2002, while the snowmaking electrical system was improved. A tubing operation was added for the 2002-2003 season, diversifying winter activities. A large scale lodge expansion was conducted for the 2005-2006 season. "I was the (Kitchen Lady) (Cook) still get called that after all those years later.you are in my back yard and still enjoy watching you make snow after all theses years." "I was a member of the National Ski patrol back in the 1960's working at this ski area while stationed at Dow AFB. Great memories of this little mountain."